Three Nuns | Chicago's Pipe, Cigar & Tobacco Store | Iwan Ries & Co. 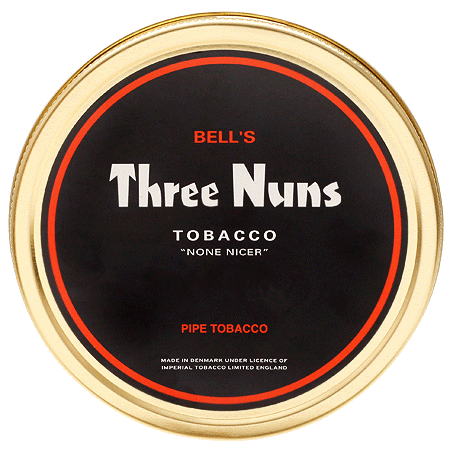 The Three Nuns coin tobacco was originally a creation of J. & F. Bell, dating back to the 19th century. A favorite of British author C.S. Lewis, as well as countless other pipe smokers from all walks of life across generations, it offers a blend of dark-fired, sun-cured, and lighter leafs to produce a famously mellow smoke which has endured the test of time like few others.